That is the #1 rule that qualifies you to attend Goldstock. #2 is that you want to support Rescue and will have the best time ever while doing so. You do not need to be a member of a Rescue organization. Your dog does not have to be a Rescue. You don't have to have a dog to attend. Your dog does not have to be a golden, just has to be golden-hearted, and love both people and other dogs. Although the majority of our attendees are Goldens, we also have a contingent of Aussies; a corgi ferret Ninja; two mini-cows (you have to meet them to understand); a gorkie (Yorkie who thinks he is a golden); a few labbies; various and sundry mixes; and anyone else who wants to join in the Goldstock spirit. 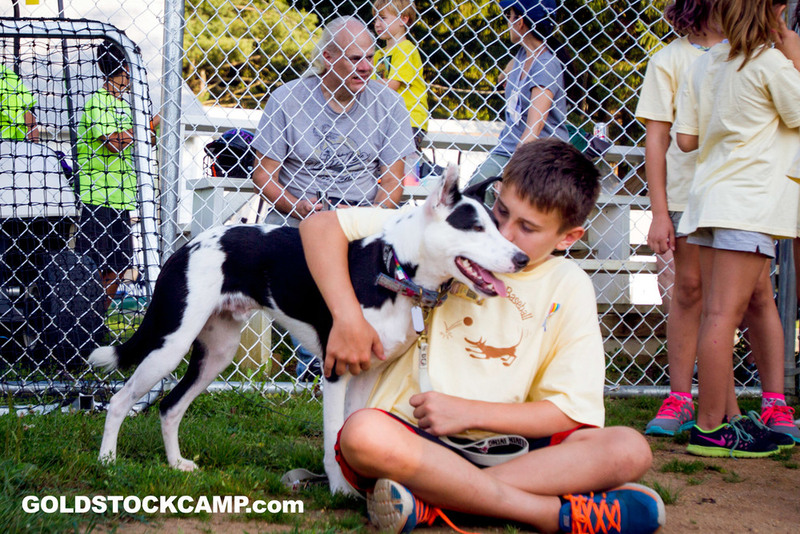 At Goldstock we only care that everyone attending loves dogs and Rescue as much as we do. If you are attending without a furry companion we will be more than happy to loan you one of ours if you need some dog therapy!